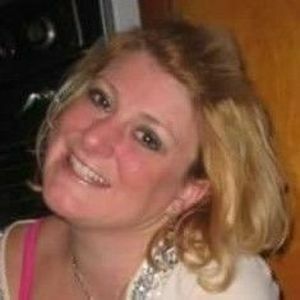 Jennifer Lee Hendrick (nee Daugherty), 48, of Elyria, formerly of Hudson. She passed away peacefully after a lengthy illness, surrounded by her loving family. Born on January 14, 1971, in Akron to her devoted parents, Lee Daughtery and Lou Daugherty (Brigette McConnell). Jennifer graduated from Hudson High School in 1989 where she was a cheerleader and a member of the gymnastics team. She received her Bachelor's Degree from Lorain County Community College/Cleveland State University in Psychology and her Master's from Cleveland State in Adult Education. Jennifer worked as an Adjunct Professor at Virginia Marti School of Art and Design (now Northcoast College) and the Ohio Business College. She enjoyed watching movies, reading and spending time with her family and pets. She was a vibrant character who could easily make people laugh with her wit and goofy sense of humor. She and her sparkle will be dearly missed by her family, friends and former students. Eleven years ago, Jennifer married William Hendrick, III; she is the loving mother of Jacob Bosko; and sister of Robin Suttell (Scott); granddaughter of Ruth Young and Dorothy Daugherty; daughter-in-law of Mary Ann Hendrick; and aunt of Evan Suttell. She was preceded in death by her grandfathers, Rowland Daugherty and James S. Young; and uncle James C. Young.